Features: Delicate, light and charming. 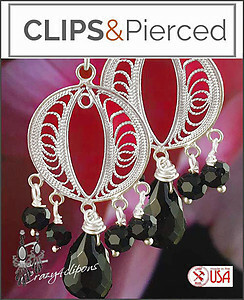 This set of delightful silver earrings will add a pop of dark color to your fabulous look. 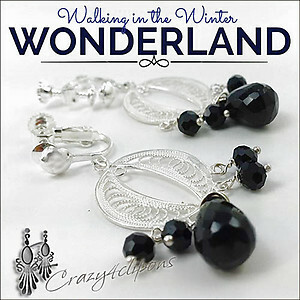 The unique details of this carefully made filigree pair of earrings along with the chunky faceted onyx beads, will complement your dynamic fashionable style.